We firmly believe that there’s no job too big or too small. 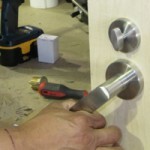 From cutting keys to picking your lock, our team of professional locksmiths is well-equipped to help you, no matter what your locksmith needs are. Because you never know just when you might need a locksmith, FC Locksmith provides a 24-hour service designed to assist you whenever you find yourself in trouble. Our telephone hotline is open 24/7, including public holidays, and we will aim to have a locksmith with you in as short a time as possible. This is often a case of just minutes. So, whether you’ve lost your keys during an evening out or your locks have been broken in the dead of night, FC Locksmith is here waiting to help. 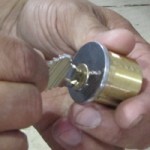 FC Locksmith aims to provide only the very best in locksmith services. All work is carried out by trained professionals, so you can rest easy knowing that your property is in safe hands. Our competitive prices are designed to give residents and businesses in Georgetown the best value for money, something that we all need in the current climate.